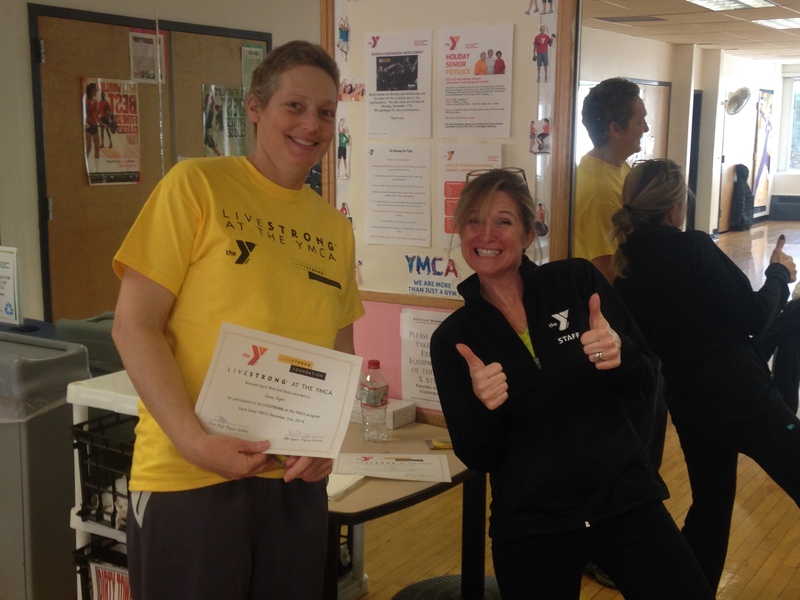 As of Tuesday, I am a graduate of the Livestrong program at the YMCA (I even have a certificate!). 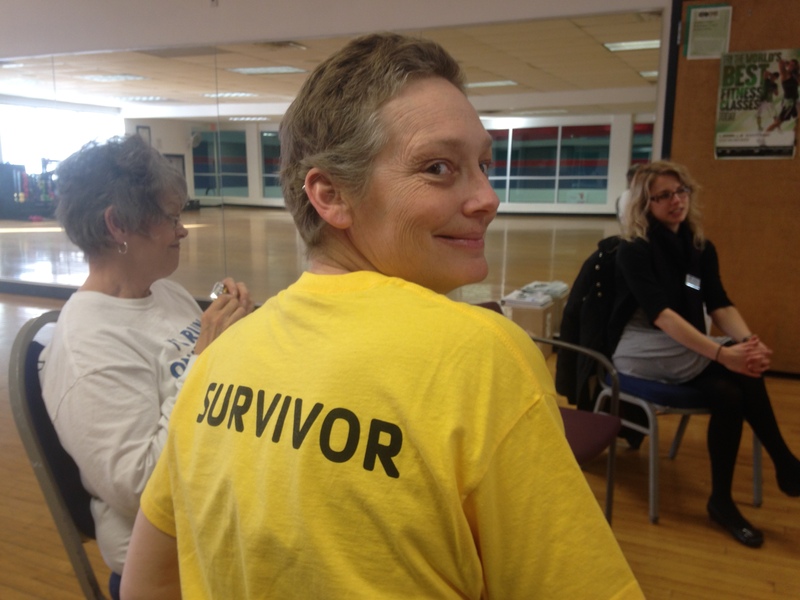 Livestrong is a 12 week program designed to help cancer survivors achieve their health goals. I would highly recommend the program to anyone just finishing cancer treatment, unsure about how to rebuild after the difficulties they’ve just faced. While I still have a ways to go to regain the strength and fitness level that I had prior to cancer treatment, I feel like it was an excellent way to start. 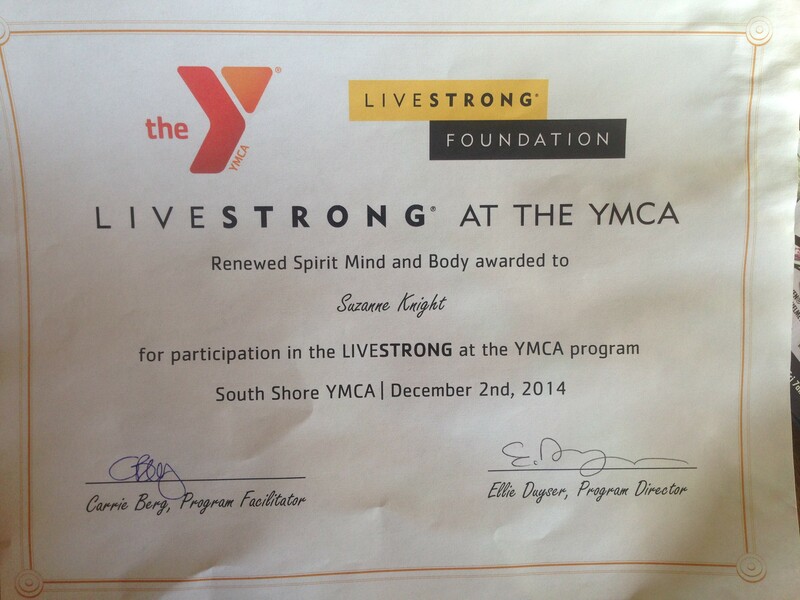 Participants in the Livestrong program get a free Y membership for the duration of the program, too. My class met twice a week, and it was just the push I needed to get off the couch and hit the gym. It was extremely difficult to find the motivation, and the energy, to exercise during chemo and radiation, but having a class to look forward to was an excellent way to get me out of that mode. I’ve always had a physical lifestyle. I love jogging, biking, swimming, hiking, playing sports, and on and on. But I’ve never been terribly interested in “classes”, or group exercise. I have to say, there was something invaluable about being part of this group exercise program, though. For me, it was less about the exercise, and more about the camaraderie I found in a group of women who had recently gone through the same treatments and challenges that I had. It was the opportunity to talk about our experiences that motivated me to go every week. My group was very small, only 3 of us came regularly, and we grew comfortable talking about some personal stuff. It became like an intimate support group ( another thing I’ve never really been interested in). We were there to encourage each other and cheer at our small successes. 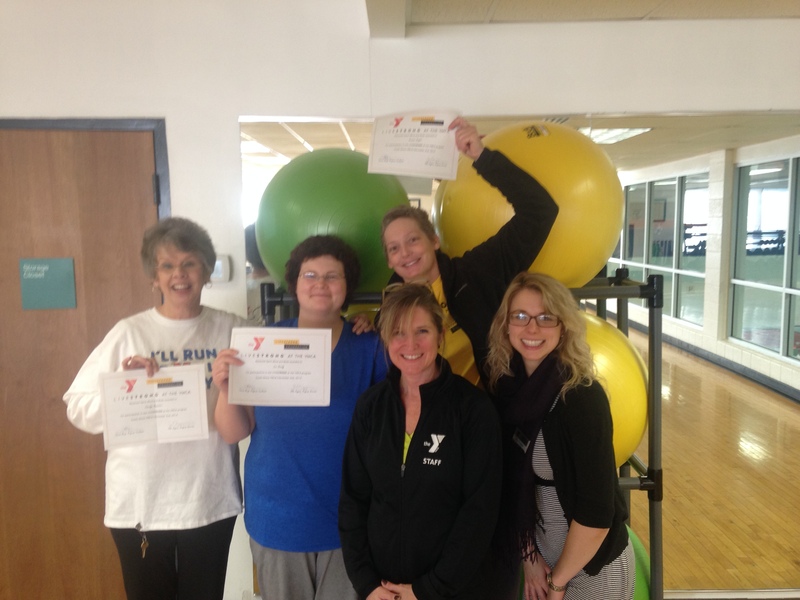 This entry was posted in breast cancer, Fitness Goals, Livestrong, personal accomplishment, personal journey, Uncategorized, YMCA and tagged breast cancer, cancer treatment, chemotherapy, fitness goals, Livestrong, milestone, personal accomplishment, YMCA. Bookmark the permalink.